Nice wall lamp from the Dutch brand Raak Amsterdam. 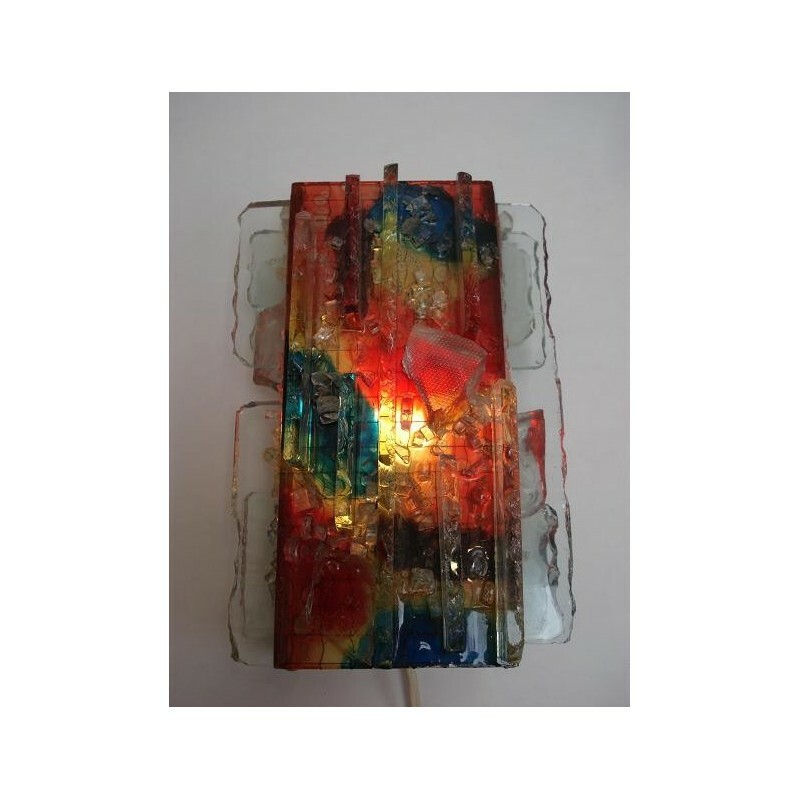 The lamp is made of some pieces recycle glass, which are melted on each other. 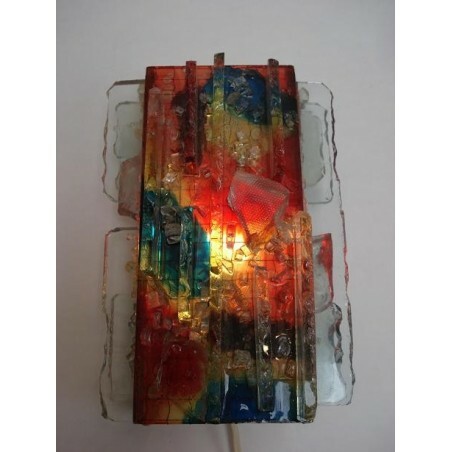 The lamp is in a good condition, the dimension is 25 cm long and 17 cm width.